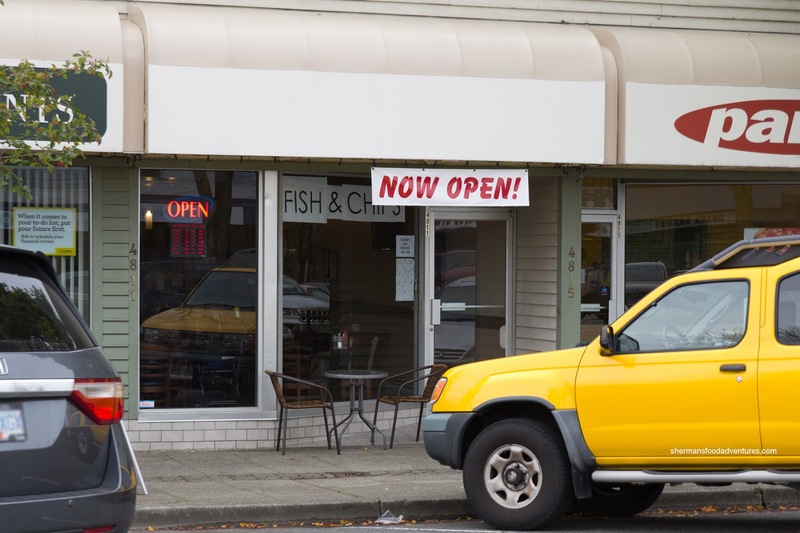 Ever since Uncle Hebert's closed up shop over 6 years ago, there has been a void of fish n' chips in Ladner. Sure, there's Sharkey's, but it just ain't the same. Imagine my surprise when I noticed a new fish n' chip joint while randomly driving by one day. Located not too far from the former Uncle Herbert's, Chung's Fish n' Chips can be easily missed with its temporary signage (and I mean really temporary!). Walking into the new, clean restaurant, I was warmly greeted by the staff. 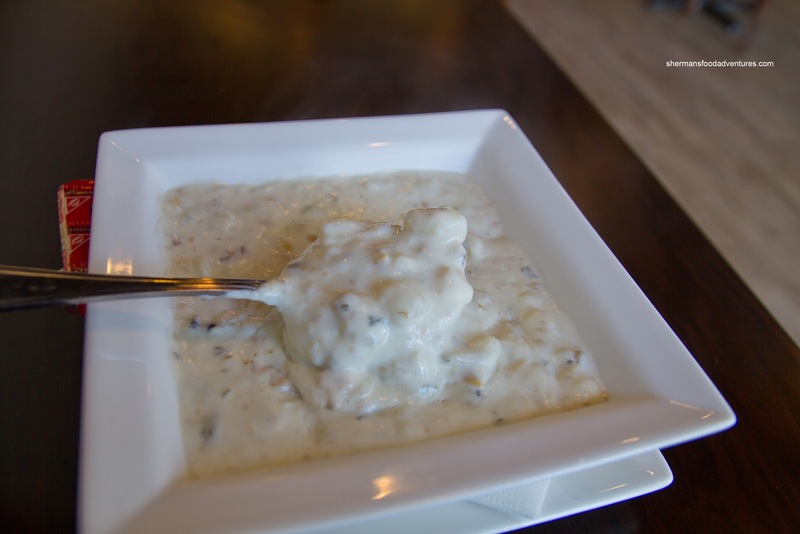 I decided to start with a Clam Chowder since a plate of fish n' chips is never enough right? The creamy Clam Chowder was reminiscent of Campbell's Chunky Soup. Now that is not an insult. I actually like that version of the soup. This one was super thick, clammy and full of ingredients. 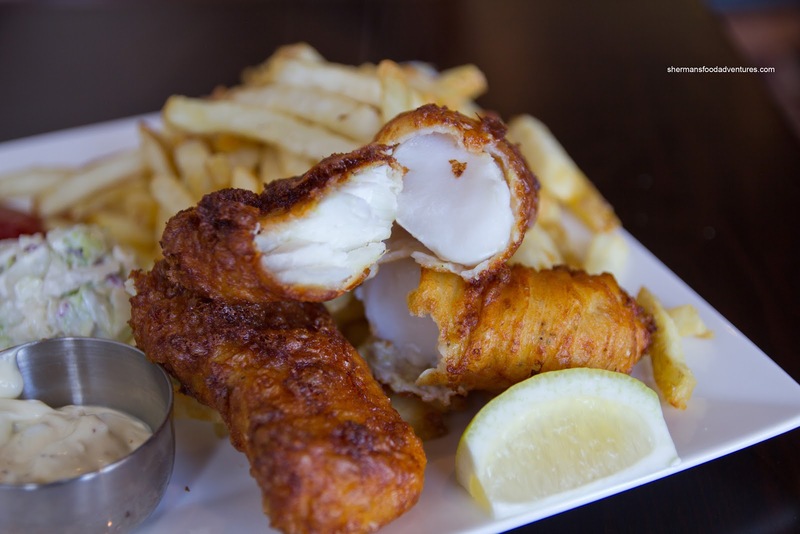 For my main, I went for Cod, Halibut & Chips. The first thing I noticed was the extremely thin batter. Second was its unique taste. There was a zing. Upon further inspection, the batter was riddled with lemon zest. Something definitely different and welcomed (in my case). With the zing already built into the batter, I didn't mind the creamy mild tartar sauce. Since the batter was so light, it was not as crispy as I would've liked. Contributing to the moisture was the flaky, tender cod. It was fried perfectly. As for the halibut, it was naturally more stiff, but with that being said, it was slightly overcooked. The fresh cut fries were very light and crisp. So much so, they were probably too airy. If they were served on its own, I would declare them to be some pretty darn good fries. But they didn't seem to go with the fish. 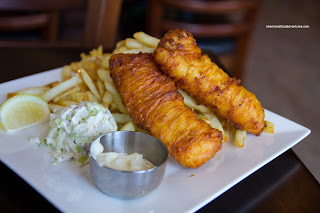 I'm probably used to the starchier, denser fresh cut fries we normally see with traditional fish n' chips. With that being said, I thought their version of fish n' chips to be above average and I would certainly entertain the possibility of a return visit.